K&L Electrical are experienced in the installation of jacuzzi baths and hot tubs for homes and businesses such as health spas and beauty treatment rooms. Spa baths can be fitted into all sizes and shapes of bathrooms and can provide the perfect relaxing end to a busy day. Corner whirlpool baths can be supplied and fitted with all complimenting wall and floor tiling, electrical work, atmospheric lighting, heated towel rails and showers installed to create a stunning effect. Hydrotherapy baths can be installed in bathrooms, spas and health clubs. Hot tubs can be installed inside your home or business premises, or alternatively they can be installed outside. Hot tub gazebos can be installed in gardens and hot tubs can also be fitted in summer houses. We can install top-of-the range spa pools hot tubs and jacuzzi’s. Enjoy the ultimate ’staycation’ by having a spa pool, jacuzzi or hot tub in your home or garden. Bed and breakfasts, holiday cottages, self-catering accommodation, villas and hotels can all benefit from additional bookings through having spa pools, hot tubs or a jacuzzi installed to delight guests. ￼Make sure you check before buying your jacuzzi or spa, you have enough space and electrical power in your main panel to support the additional electrical demand that your spa or jacuzzi will create. It is typically not an issue but verifying that you have enough power and space for your hot tub circuit breaker will eliminate any surprises to your electrical installation cost. 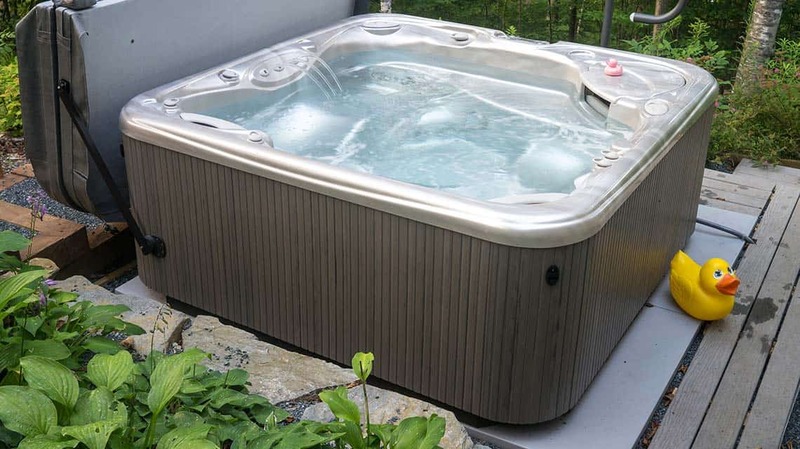 Before buying a hot tub, spa or jacuzzi it is important to know that each make and model is different and the electrical Installation for any hot tub, spa or jacuzzi can change from manufacturer to manufacturer. Always check the electrical specifications for precise details on your hot tub, spa or jacuzzi’s electrical requirements.